Global demand for the precious metal dropped 18% year-on-year for quarter 1 2017, according to a new World Gold Council report. 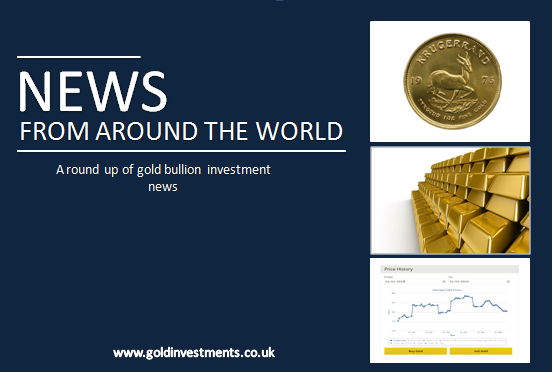 In the first three months of the year global gold demand was 1,034.5 tonnes. Head of market intelligence at the World Gold Council, Alistair Hewitt, said the decline doesn’t reflect weakness in the first quarter this year. He said last year was the best first quarter on record. Gold sales during Akshaya Tritiya in India this year increased by 30.5% compared with a year ago. Consumers largely avoided cash transactions of over Rs 2 lakh to stay out of the reach of the tax department. In real terms, gold touched 23.5 tonnes (28th April) during the festival, compared with 18 tonnes on 9th May. Gold Investments specialises in the UK Indian gold market. Indian imports of gold have jumped to the highest level since 2014. The World Gold Council said in its recent report that the increase was due to improving cash flow in the financial system and jewellers restocking for weddings. A court has ruled that £500,000 worth of antique gold coins found stashed in a piano must be split between the tuner who found them and the school who received the piano as a donation. The instrument’s owners of 33 years are not entitled to a penny. Gold Price: Is Gold Bucking Historical Trends?